This is adequate for kids with some riding experience and adults that would like to start riding. 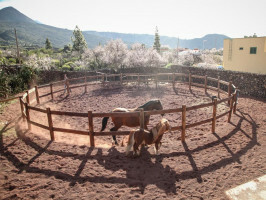 We offer different routes, adapted to client´s riding level. 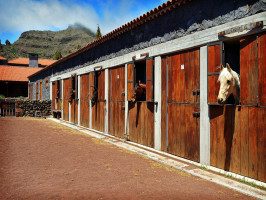 Those routes set off different areas from Santiago del Teide. This is a route recommended for persons with basic riding experience. 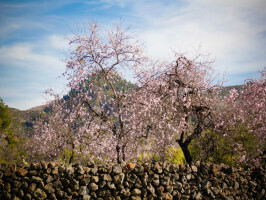 Going through typical Canarian flora, Almonds, Broom and other endemic species of the area. As well as visit the lava flow of Chinyero Volcano. 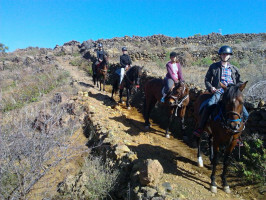 We offer several routes adapted to different group levels. Also you can enjoy these activities with lunch included with a special price. - Meeting point: Av de la Iglesia 68- Santiago del Teide. Santa Cuz de Tenerife.